Young smart farmer using computer laptop check price of rice from internet in her paddy field. hd00:07Young smart farmer using computer laptop check price of rice from internet in her paddy field. 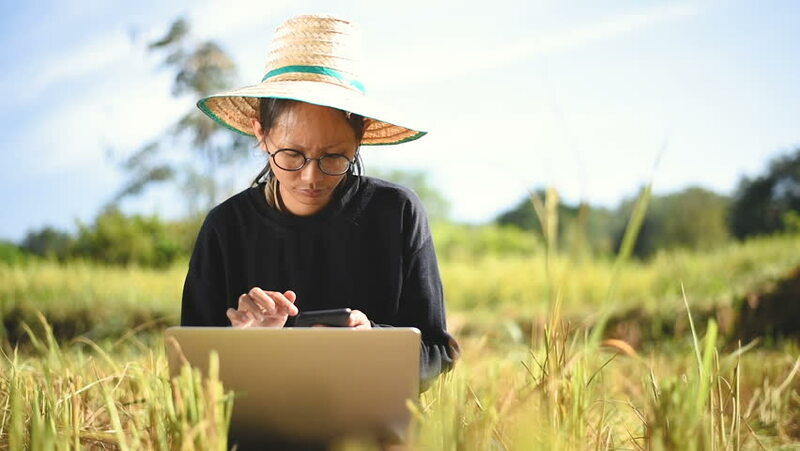 4k00:07A woman farmer examines the field of cereals and sends data to the cloud from the tablet. Smart farming and digital agriculture. hd00:07Asian farmer using laptop at her farm in Thailand.